Gencon is coming, and 4-day badges are more expensive this year! But the Kobold can help, and you can help the Kobold. Just run 4 or more full-table, four-hour games at Gencon and your badge will be compensated. We have the adventures, you’re the GM! Event submission begins on January 22nd, just weeks away. 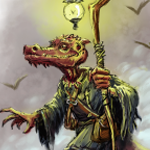 When you commit to running 4 or more events, you can get your badge compensated and possibly pick up some Kobold swag. Email brickk(at)gmail(dot)com with the subject [GENCON] Volunteer GM, and we’ll get you sorted! I’ve been GMing 5e for about a year and a half. 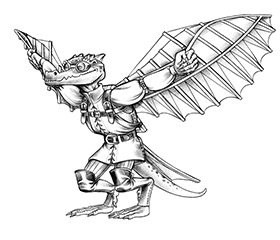 I’d love the opportunity to GM some Kobold adventures at GenCon. Such an exciting idea! This is very gracious of you. It would be a pleasure to volunteer for you and share your adventures with players! “Event submission begins on January 22nd” Does this mean we shouldn’t send emails / applications until then?